So I just started eating avocados this year literally 2 months ago! In fact, I just started eating guacamole at a work outing I attended and that was the appetizer. I use to be a really picky eater but shout out to my job for helping me expand my taste buds. Growing up I’ve never seen an avocado sitting in our fridge. It was the typical strawberries, grapes, and apples. My mom will look at you like your crazy if you gave her an avocado. She barely knows what that is haha. To be honest, I use to feel embarrassed going to work dinners with vendors and we would pull up to a restaurant I never ate at before or a menu is placed in front of me with foods I’ve never seen or heard of and can barely pronounce. When I tell you embarrassed! Especially being new to the industry not wanting to be the eyeball that didn't eat anything I would just pretend I didn't like it to avoid the million and one facial expressions or questions to the response of “I’ve never heard of this or tried it before” lol I'm sorry this was just too fancy for my household. I realized there is no need to be embarrassed but this allows me to embrace where I come from. So I decided to share 3 benefits of using avocados for my people that aren't too familiar. Avocados contain lots of fiber which helps with digestion and weight management. Yes, avocados contain lots of fat but its monounsaturated fat which is the good fat that also helps to reduce high cholesterol. High blood pressure and high cholesterol run in my family so as I get older I’m paying more attention to my health. I enjoy eating avocados with a dab of pepper and pita chips as a quick snack. Also, honey wheat nut bread with avocados as a spread topping it off with strawberries is so good! If your a smoothie lover feel free to add as well. When I started making time for my DIY at home spa day I wanted to try a new face mask that doesn't contain lots of chemicals. I wanted to create my own and I decided on 1/2 of avocado with 1 teaspoon of honey. I rub this all over my face for 15 mins warning the smell isn't pleasant! The avocados contain 20 different vitamins and minerals helping to moisturize and soothe your skin. Honey has natural antibacterial properties helping acne-prone skin and fights clogged pores. I’m no doctor but after doing research I've found that eating avocados can help fight against cancer. Very interesting right I know! 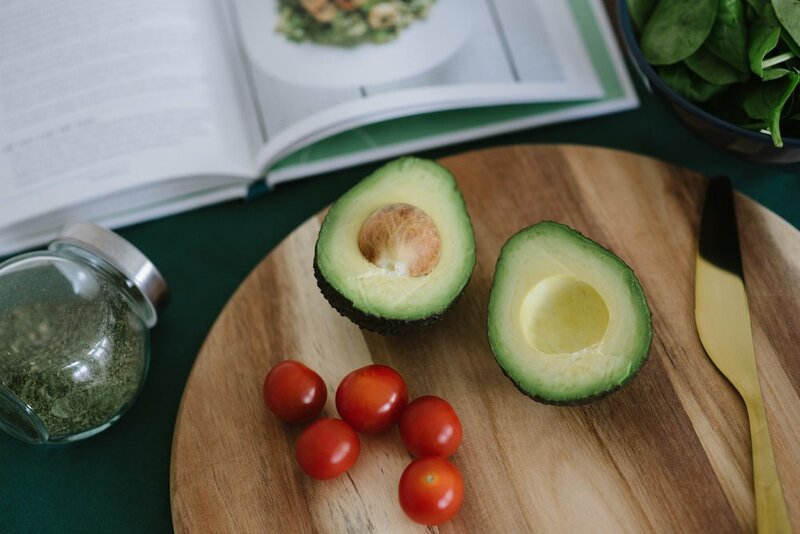 I found an article on health24.com and it stated phytochemicals extracted from the avocado fruit inhibit and kill cancer cells, suggesting that the phytochemicals from avocado included in the diet may offer protection against cancer. Do you like avocados? What are some meals you like to prep?